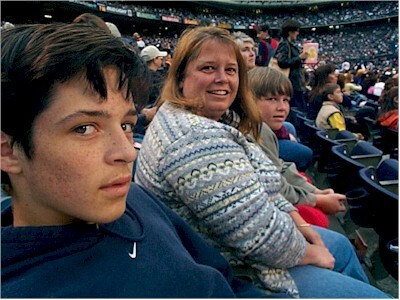 Here are Matt, Susan, and Scott at the Padres game on 5/12/2001. I wrote a short article in our AWMA newsletter about the game. Click on the photo for more details.